You read game notes all the time that say Black 'has a difficult position'. This sounds like the annotator is saying 'B lack is worse '. Or perhaps he means 'B lack is much worse '. Or even 'B lack may be completely lost but my computer can 't find a forced win for White'. He could mean any of those. But experienced players know that 'difficult' can be taken literally. Some positions are simply harder to play than others : It is more difficult to find the best move, or even a good move, in them. Other positions are relatively easy to play. That makes them more attractive to a master, even though a computer may evaluate them as slightly inferior to the difficult alternatives. The machine must be objective. But you 're not a machine and you 're allowed to be subjective when it means being pragmatic. Masters steer the ir way into 'easier ' positions all the time. Even the strongest masters do. After 15 moves of a Scotch Game at Nanjing 2009, Magnus Carlsen had given up a pawn but had two bishops and more space than his opponent, Peter Leko. Carlsen conceded afterwards that he had no advantage. But "it is much easier to play," he said, and that was enough for him. He won. 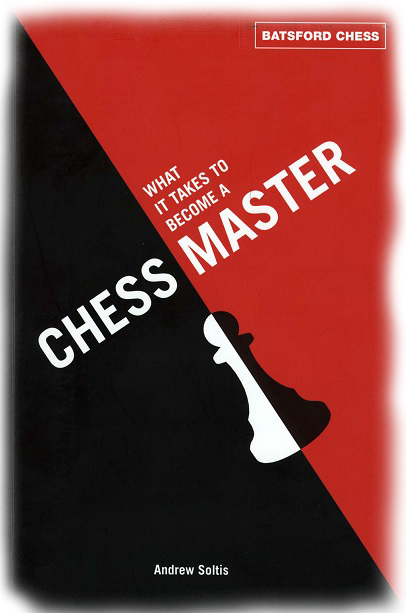 Let 's put that into perspective : Most would-be-masters can make the first ten or so moves of a game without thinking. They rely on opening theory they memorized. A typical game lasts another 20 to 30 moves beyond that. Now, suppose we subtract the automatic moves, such as recaptures and responses to simple threats and checks from those 20 to 30 moves. What's left? The bottom line is you may face no more than l 0 to 15 somewhat hard choices in a game . Those choices typically cost you two thirds to three quarters of the clock time you spend on the entire game. Being ab le to play five 'easier ' moves, means reducing your work load considerably. Th is helps explain why you see masters winning tournaments while taking less clock time than their opponents. Of course, having an easier choice of moves isn't always a good thing. The simplest positions of all to play occur when your king is being checked all over the board. You are forced to play the only legal move available. Your moves are easy to find - but you 're about to be checkmated. Another cliche that annotators love is: 'Three results are possible '. This is their way of saying the position in question is so double -edged that either player could win, or the game could end up as a draw. Alternatively, a player will say he avoided a particular line of play because only two results were possible - and that 's not good.